Another week has flown by, and in fact, an entire year has flown by. If you check the date on my first column, you'll see that I have been a full-fledged member of the RPGamer staff for over a year now. I think it's really amazing to read those first few columns and then read my newer ones. I can't really pinpoint a point at which my writing style began to change; it seems like I write the way I've always written. But this is apparently not the case. I think my columns are much better now in both style and content. I'd also like to thank all those readers that have been with me for all my columns so far. It's been a pretty good year, and I look forward to making the next years even better. In gaming news, I finally polished off Castlevania: Dawn of Sorrow on Hard Mode. The game is not really that much harder until you get to the end. In the beginning, your great weapons from the previous playthough negate any difference in damage given and received. Towards the end, you have most of the same weapons you always had. I was at least twelve levels higher than my first playthough, and I still had to use almost every single healing item in my inventory on the last boss. In comparison, I used only a few potions on him the first time. I really want to bust out my GBA and play the others now. I'm feeling nostalgic, but that will have to wait until I can actually buy the games. I don't have any other gaming news. I'm saving my money for a trip I'm taking in just two weeks, so no new games for a bit. Since Super Princess Peach just got an announcement for a US release, you'll have to wait for my impressions of it like everyone else. There might not be many games that I'll buy before they come out in the States, but there is at least one, and I'm REALLY hoping that Mother 3 comes out before February 18. I'm doubting it though. So without any further ado, if you couldn't tell, this week's title means 'A time period of one year.' I shall celebrate this momentous occasion by using a freshly rebuilt template that hasn't been spoiled by months of editing and re-editing. For this, I would like to thank Theo Litowski for reworking my template into something that is commented out better, will break less often, and will be error-free. In other words, he has rebuilt it. My template is faster, stronger, and better. That said, let's get this anniversary party started! This week is a bit of a mixed bag. The chart has finally fallen to single digits, yet nearly half of the chart is some new blood. In fact, if you only consider the bottom half of the chart, things look pretty good. There were eight RPGs from the 25 spot on down, but the only problem is the top half only has one RPG. At least it made the top ten. But it's not too hard to understand why so many titles are falling off the charts; 17 new games made their debut. Releasing games en masse like this will usually result in games falling like stones as new titles replace them. At least the top was claimed by a good game. Shadow of the Colossus holds that coveted position, but we'll have to see how long it lasts. These days, it's tough to hold on to any position, let alone the top. Also, this week marks the end of a legend. Pokémon Emerald has finally fallen off the chart. It has been on every chart I've ever done but one, and that was due to me missing it. I've been doing this chart for a year, and it predates me, so it held on for a little over a year. It would get dangerously near the bottom and then surge back up, but this time, it is not there. I checked the chart three times. In true RPGamer fashion, *J_Sensei handgestures Pokémon Emerald. That said, let's see those mostly new numbers! Idea Factory has announced their newest title in their popular Souls series, Blazing Souls. Like the other games in the series, it will be set in "Neverland," and it will maintain some of the basic traits of the others. 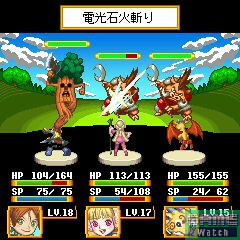 But the game will feature an entirely new story and battle system. The story begins ten years after the Seven Hundred Year War. Neverland was on the road to peace and recovery, but it still had a long way to go. There were many scars from the war, and countless monsters still roamed freely. 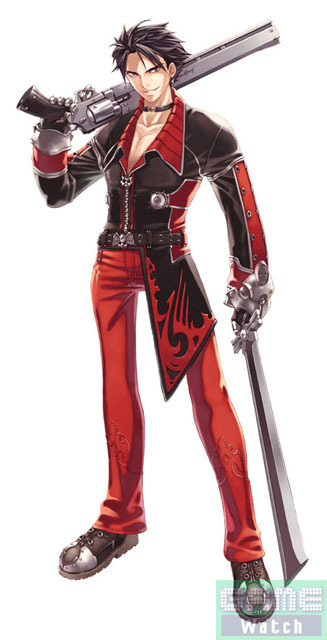 It is in this world that the hero, Zeros, makes his living as a "Contractor," a mercenary that will do anything for money ranging from delivery of questionable goods to assassination. After a certain event, he comes across a "Core Elemental," a crystal containing amazing magical power. But something like this inevitably attracts attention, and he soon finds himself being followed by scores of "Hito-genomes," a race of intelligent beings created by the gods, among others. Some of them want to use the Core for destruction, others want it for genocide, still others want it purely for the power contained within it, and some want to regain what they had lost. Zeros has to deal with all of them, and in doing so, he begins to realize some secrets about himself that he never knew. 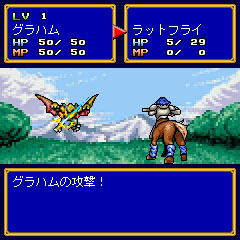 The game's system is loosely based on scenarios that involve a cycle of exploration, map-discovery, preparation, and battle. 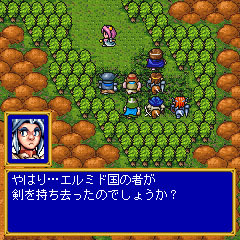 Other than a few set events, the game takes a non-linear path in which players will be able to proceed through the game in whatever order they wish. Unlike other games in the series, there will not be a world map and a battle map; instead the game will feature a seamless transition between exploration and battle. 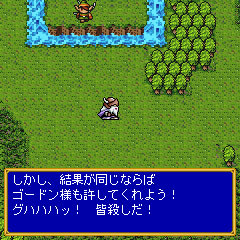 Each field will have objects and scenery already in place, but enemies will be hidden. 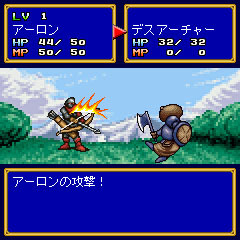 An encounter rate will be used to determine when, where, and how many enemies appear on the map. This rate goes up the more players move on the map and the more they interact with objects placed there. Battles will be similar to other Souls titles in that there will be flashy spells, combos, and different skill sets for each character. Blazing Souls is set for release sometime in January of next year. Like other games by Idea Factory, it will come in two flavors: a regular and a limited edition. The limited edition features an illustrated "Neverland Archive Book," the game's Sound Track and Drama CD titled "Approaches the Mystery +Alpha," and a set of nine trading cards. Pre-order the game and you score a CD full of color illustrations to boot. If you want to add this game to your collection, you'll need 7140 yen for the regular edition and and 9240 yen for the limited edition. Zeros - He's the hero of the story. He can't remember anything about his past, but he doesn't let that bother him. Both his harms are prosthetics from the elbow down, and he has the Core Elementals equipped in both, thus allowing him to use powerful magic. 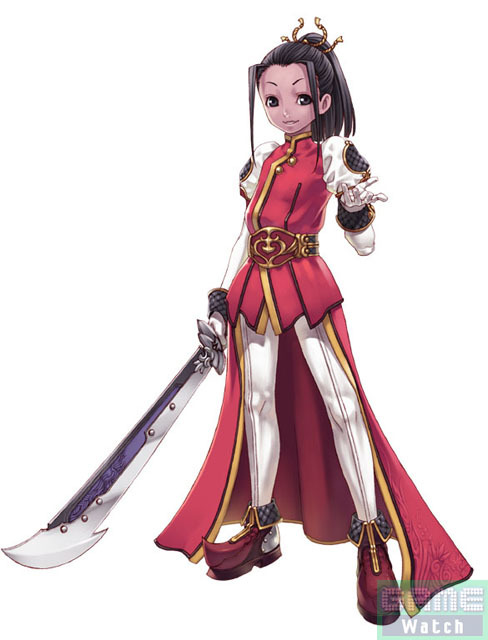 Adel - She was the valedictorian at a prestigious school for warriors, and she has dedicated herself to avenging her parents. She seems like a stern, cold person at first glance, but she's really quite friendly. Alia - She is also a victim of amnesia. She was rescued by Zeros and decided to join him on her travels. She's an excellent magician, but no one knows where she got her considerable powers. Duzer - He shows up with Alia and decides to follow Zeros for his own unnamed reasons. He is usually silent, and he is as good in battle as Zeros. Bridget - She is a thief that makes her living preying upon ancient ruins and dishonest merchants. She is seeking the Core Elemental like her dead parents did before her. 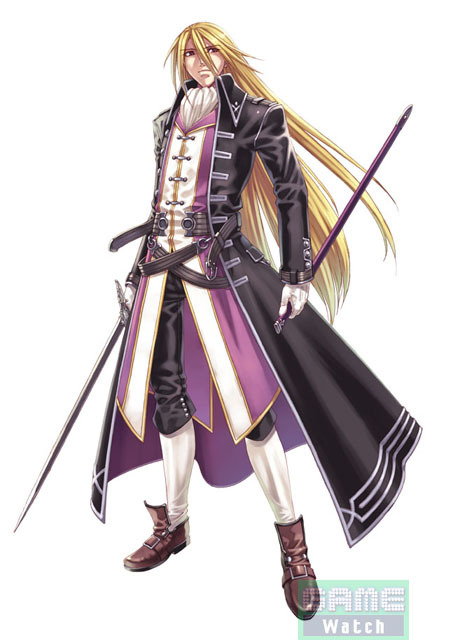 Edvalt - He is a scholar reseaching the Hito-Genomes, and he bears the Wind Rune. He is a very loyal and straight-forward person. 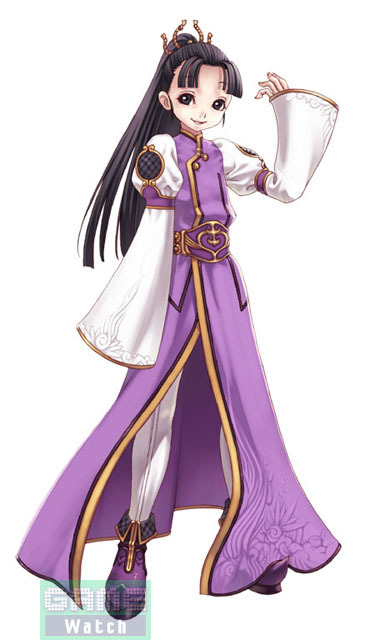 Ethelo - She is a Hito-Genome, and while she looks like a child, she is really much, much older. She acts like a child to make others underestimate her, but she is capable of doing great acts of cruelty without batting an eyelash. 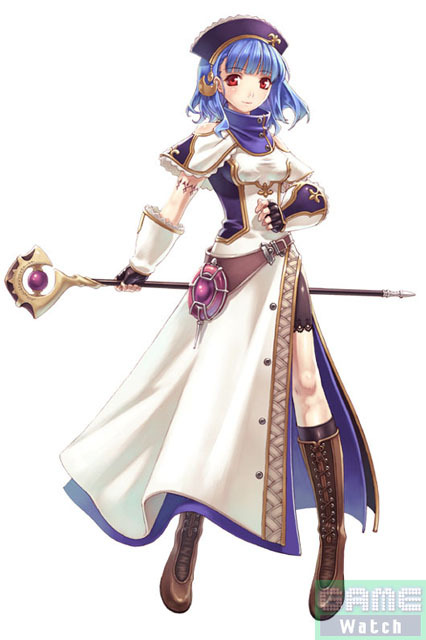 Unis - She is Ethelo's twin, and she resembes her sister down to the tiniest detail. Her personal hobby is interrogating humans. With the ten-year anniversary of the Bokujo Monogatari series on the horizon, Marvelous Interactive held a press conference to discuss the series and the three new titles. 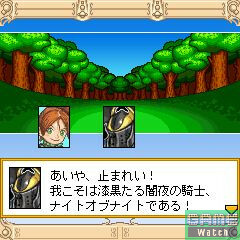 Besides the previously reported Innocent Life and Colobockle Station, a fantasy RPG for the DS called Rune Factory. 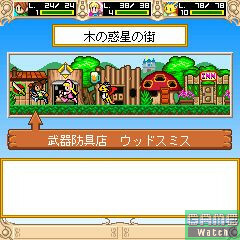 The game is actually a joint project between Marvelous Entertainment and Neverland Company. 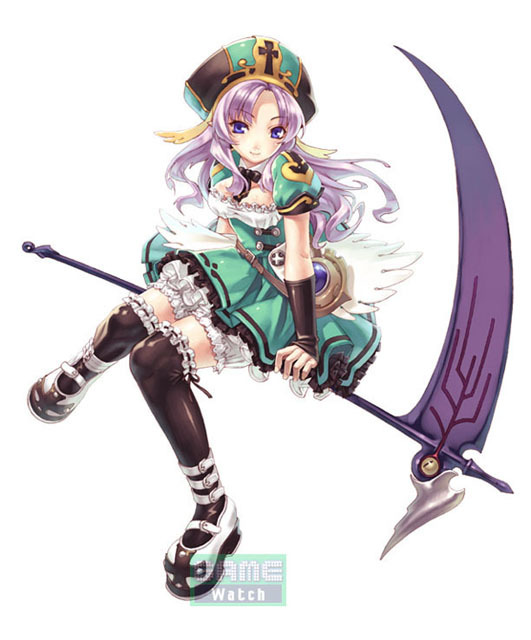 In a bit of a departure from other games in the series, the game will feature monsters and fighting, but like other games, the focus is on as little violence as possible. Instead of killing the monsters, you can capture them, feed them their favorite foods to make them livestock, or even take them along as a part of your party. At this point, little else is known about the game, but with the recent torrent of information concerning this series, we'll hopefully have more details soon. The second chapter of Shining Force Chronicle II has gone live. 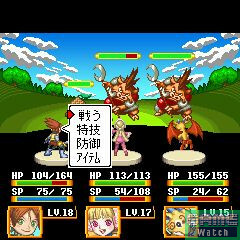 This game is a direct sequel to Shining Force Chronicle I and is only available on DoCoMo 900i and 901i series mobile phones. The newest chapter follows the hero, Shu, as he fights his way through the continuing war. The battles have moved from Albat Valley to the area around Elmid Castle. New chapters come out every month for the low price of 315 yen. Capcom has announced a new collection of FOMA i-series games. 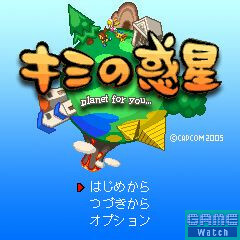 They include Street Fighter II, Biohazard -The Stories-, and a new RPG called Kimi no Wakusei: planet for you... that is completely original. 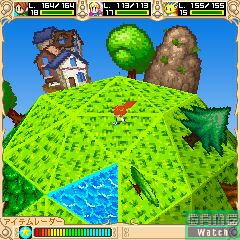 The game adventuring around a spherical 3D map and features simple turn-based battles. The fee is only 315 yen per month, but the catch is you can only have one game per month. This week I got two letters. They were pretty good, so I'm not going to complain too much. Luckily for me, these things seem to happen when I get swamped with other work, so at least the timing is good. In Japanese lesson news, I have finished the hiragana. Those of you that have been following it now know one of the three forms of Japanese writing. I hope that people are able to learn the katanana in the upcoming weeks. That said, let's get to the letters! Hey there J-sensei! I'm a fan of Japandemonium. Reading it every week makes me fell a whole lot better. It's Great! Reading your last column, it seems you got really hooked with DS Castlevania. How much better is it than Aria of Sorrow on scale? 1 to 10. I really loved this game. I don't own a DS yet, but I get one on Christmas. so I guess I have to wait just a little longer.T_T I sure hope They make a Castlevania for the psp too. cause that's what I have right now, and VERY few good games. And I REFUSE to do homebrew because of the risks. I have a question concerning provinces in Japan, ummm... I think they call it prefectures, right? Do these places receive just as much tech and anime as in Tokyo? Like do they get stores where they can get psp/ds and games and anime? Or can they only get those in the big city? Well, that's my question. Sorry if it's hard to understand. I'm not exactly english here. You do great work! ~ja ne! Thanks for the kind words. I'm glad people enjoy my column. I certainly don't do it for the money... All none of it. 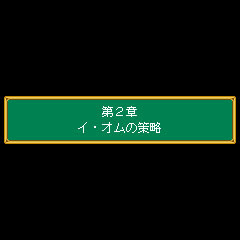 It's been a while since I've played Aria of Sorrow, but I remember it being a really solid game. That said, Dawn of Sorrows is just that much better. It is better in almost every way. The graphics are better, the gameplay is better, it's more straightforward, and just rocks all the way around. It also has a 'magic seal' system that is really neat, but it can be unforgiving sometimes. When you kill bosses, you have to seal them by drawing a design on your DS. As they get more complex, it is easier to screw them up. 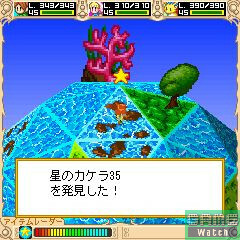 You also have to draw them quickly, and if you are too slow or make a mistake, the boss comes back with a little health. This can mean the difference between life and death in a close match. Then you have Julius mode, and that really IS that good. I GREATLY enjoyed it, especially after figuring out how to use all the characters. 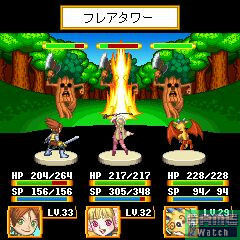 But once you figure out how to avoid attacks, that game gets all too easy for the trio. The most if not all bosses can be decimated by one of characters with little effort. I think the last boss hit me once? It was something absurd like that. As for your other question, I may live out in the country, but I can still get most anything I want. I got my PSP on launch day, so yeah, you can get stuff. Granted, the selection IS better in larger cities, but even little towns have stores for electronics and things. In fact, sometimes things are cheaper in the country, but sales are bigger in the city. Hence, I went to a large city to buy my TV, but I buy my games at a local game shop when I can. How's life going? Thanks for answering my questions last time, even though I still don't know what Manami means! But when you know, please mail me or tell it in your column (maybe other people are interested too!). I really thought you read the Famitsu, because you always have it listed as one of your sources, but I actually didn't think it was online too. Actually I don't know many magazines that deliver their news on paper and online too. I should've just clicked on it. But it's too bad you can't tell anything about it, maybe some reader that knows more about the different Japanese gaming magazines...? As for questions, I cannot think of any. I had something in mind about doujinshi and cosplay (as you said something about Japanese people you saw at a Halloween party were to shy to dress up - which kinda contradicts the whole cosplay-happening), because one of your readers mentioned Comic Party. I don't know if you saw Comic Party, but it's quite interesting to see what the thought is behind doujinshi and to see how the whole community works. As you haven't answered Nick's question of whether Comic Party is real or not, what's happening in Comic Party is real - or, at least, can be real. I've seen the theme coming back in other anime/J-Drama. The building in Comic Party, where the big convention Comiket (for more info check http://en.wikipedia.org/wiki/Comiket - and just click further to see more info about doujinshi or whatever) is held, is a real building. In an episode of Densha Otoko they go to such a convention in that building. In a way you can say that Comic Party is "how to"-guide to getting into the doujinshi-scene! It's quite a thing to see how big it actually is, how there are doujinshi-fans, which are just as enthusiastic about doujinshi, as about professional published works, how artists as CLAMP started out doujinshi-artists and how some professional artists still make doujinshi. Okay, that's all I know about it... I think I got a question, which is rather a small one: can you maybe explain how you use the keyboard in Japan? I've got some Chinese friends where when they type a suggestion is made, and they just have to write down the sound of it with a Western keyboard. I know that already, but I've seen keyboards, where, besides the Western characters, Japanese characters are also on the keyboard. From what I know there are way more Japanese characters then keys on the keyboard, or am I missing something? That's it I guess... Well, thanks for answering my questions and I hope you get a lot of letters! Good luck with your column! PS. I like Wikipedia too! Hrm... I thought I answered that question pretty well. But I've never seen Comic Party, but I know that things happen similar to it. As for your question, most countries use what is more or less a standard keyboard, especially countries that have large character sets. 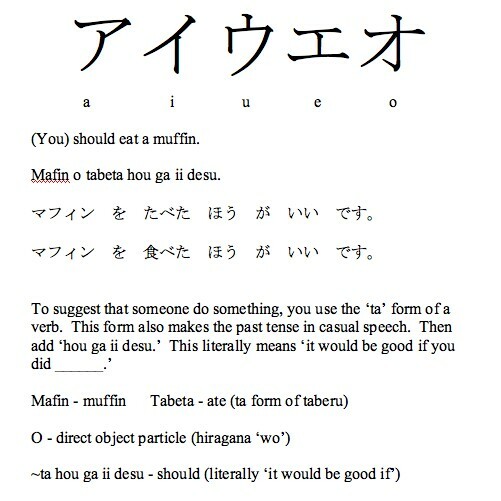 In order to do things like Chinese, Japanese, or languages with many accents, an IME is used. That stands for input method editor. Essentially, you type it in using the English alphabet, and then after you type each word, it will change it to the language you have selected. It's how I do my Japanese lessons, and it's how my fiancée types in Vietnamese. To make things easier, a non-standard keyboard will usually have some extra shortcut keys to switch between different IMEs more easily. A Japanese keyboard allows you to switch easily between English and Japanese input with the touch of a button. As for seeing Japanese on the keyboard, I believe that it works something similar to how you type on a cell phone. If the computer doesn't have an IME, you can hit one of the keys enough times to get the proper character. You see the first of all the rows in the hiragana table. I've never seen anyone type that way, but I'm assuming that's how it works. And yes, Wikipedia is my friend, and the Dude is pretty darn awesome, too. I've seen the Big Lebowski so many times it's not even funny. Well the movie still is, but the number of times I've seen it isn't. Thanks for writing yet again! And thus I work my tail off and just barely finish on time. I did a lot of regular work for the site, so a couple stories that were borderline Japandemonium were put on the index. Please read those stories too. I'm also going to give you guys a heads up. I'm going to do everything possible to make a column in two weeks, but I'm going to Kyoto for my birthday on the 20th. That will mean that all letters for the Culture Corner that week will need to be in my inbox by what most of you call Wednesday night. I don't like missing columns. You've got over a week's notice of this, and the worst case scenario is that if I don't get to your letter that week, I'll just get to it the next.